Many people visit their dentist twice a year for teeth cleaning. But as you get older, you may need more complex dental treatments or more frequent visits. 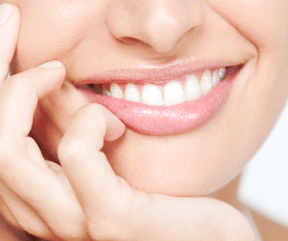 At Accent Smile Center in Dickson, we offer a wide variety of dental services. These include porcelain bridges, fillings, laser dentistry, crowns, night guards, TMD/TMJ treatments and so much more. Dr. Ford Gatgens also takes on patients that have overall health issues that might coincide with their dental health such as snoring, sleep apnea and a wide variety of periodontal treatments such as cancer, osteoporosis and heart disease. Accent Smile Center is Dr. Gatgens’s dental practice. He’s a graduate of the University of Tennessee School of Dentistry, completed an Advanced Education in General Dentistry (AEGD) residency focusing on implant placement and restoration. This Dickson dentist is a member of several dental associations including the American Dental Association, Tennessee Academy of General Dentistry and American Academy for Oral Systemic Health. Visit our smile gallery and to see the lives and smiles we’ve changed!